What a winter we have been having. Like they say about Michigan’s weather, “If you don’t like the weather, stick around five minutes it will change”. Well this time it’s a bit more than five minutes. Two weeks ago, there was little ice in the area and it wasn’t safe enough to be on, then we had a couple of nights with temperatures below 0. Now that we have ice on the lakes, rivers and along Lake Michigan for the first time this winter, it’s just too cold to go out. I normally like to shot ice formations along the Lake Michigan shore line and on the light houses. But with high temperatures today around 0 and the windchill hovering around -25 or colder I haven’t left the house. So, what do you do on these kinds of days when you are getting the bug to get out and shoot? The first thing is to set the camera and tripod by a clean window and shot the snow clinging to the trees and bushes by the house. I would have shot some finches in the Lilac bushes but they didn’t go there today. Any time you can use your camera, you are practicing and hopefully refining your knowledge and understanding of the settings. Then you catch up on seed orders, newsletters, listen to webinars or whatever else needs to be done so you can get out as soon as it’s safe enough. Well I hope to get out and shoot some yet this week but as soon as this Polar Vortex moves on it is forecast to be 49 degrees and rain, so much for the ice formations on the light houses and such. But that’s Michigan, get used to it! 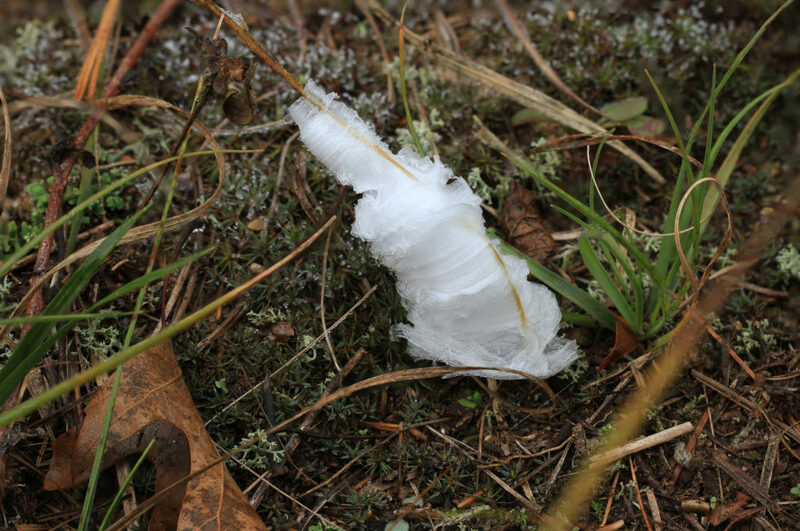 A few years ago, I heard of a phenomenon that happens on Frostweed plants when it freezes. I have wanted to see and photograph these formations that go by many names such as ice ribbons, ice flowers, ice fingers and ice filaments to name a few. My problem is that I never think about going out and looking for them until it gets cold in November, particularly during gun deer season, not a time I frequent the Allegan State Game Area (ASGA) where these plants grow in abundance. But a couple of weeks ago I was out early enough one morning to catch some frost on the prairie plants and trees. As I walked to a picturesque scene I had seen from the road, I noticed what looked like odd shapes of cotton around the base of some plants and upon further exploration realized it was ice. The ice was soft with a texture reminiscent of fine cotton but very fragile when touched. 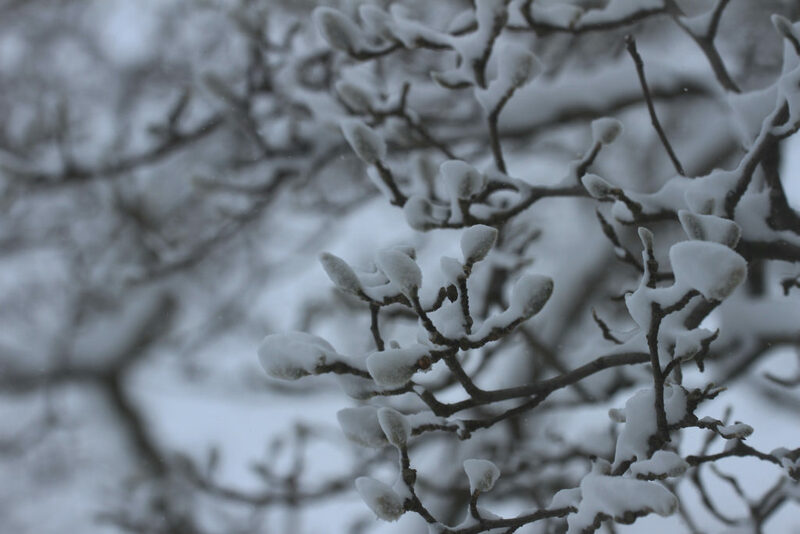 There were no two formations the same, some in delicate ribbons and others in what looked like spun ice around the stems. These formations can happen on various species of plants but the genus Crocanthemum is best know for this, hence the common name Frostweeed. 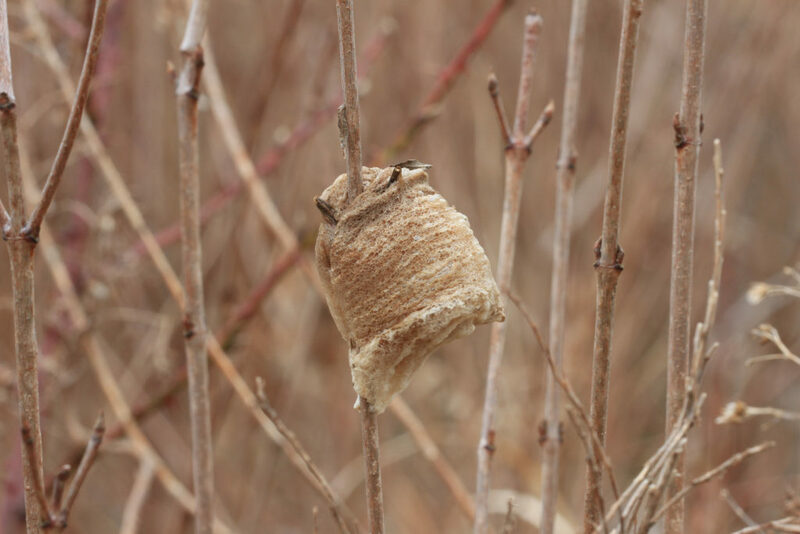 In Michigan we have two species found in dry sandy plains or savannah type areas such as the ASGA. 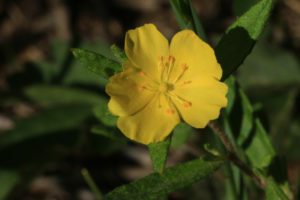 Both species have noticeable yellow flowers when in bloom. When the first frosts of fall come, the plant extrudes water from the lower stems near or just above ground level. With the freezing temperatures the water freezes, causing some very interesting ice formations. Many of these are very thin layers of ribbon like ice, each one taking on its own style. 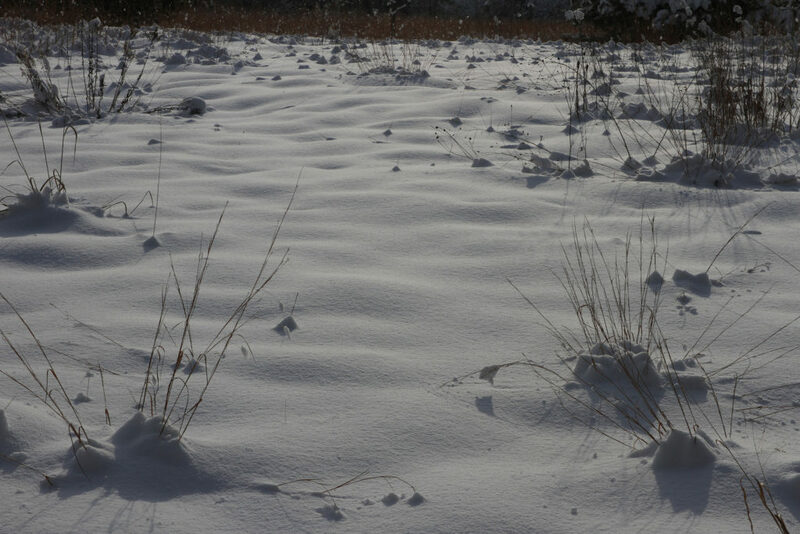 If you want to experience the beauty and uniqueness of these formations, you should locate Frostweed when it is blooming in the summer and return to the area when we have some of the first frost of the season. Go early as the ice melts away when the sun hits the plants and the temperatures rise above freezing. 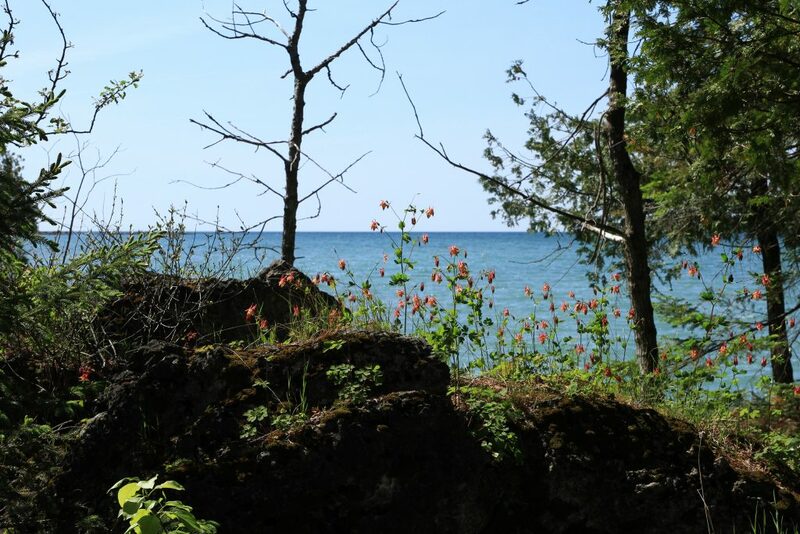 As one drives along the Lake Huron shoreline, heading east out of Cedarville on highway 134, one begins to notice a fair amount of rock. This rock is likely a type of limestone known as dolomite or dolostone. 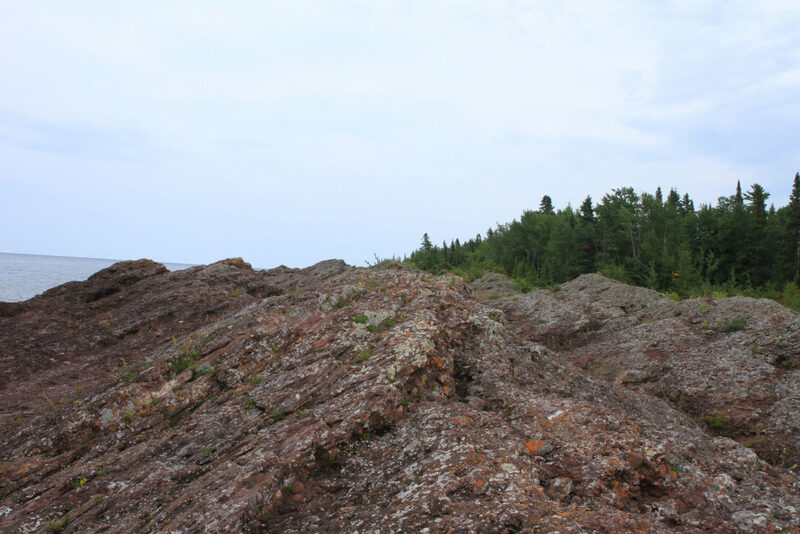 Dolomite is a magnesium-rich form of limestone and in the eastern Upper Peninsula it appears as exposed bedrock. Especially along the shoreline where there are huge boulders and plates of bedrock exposed. 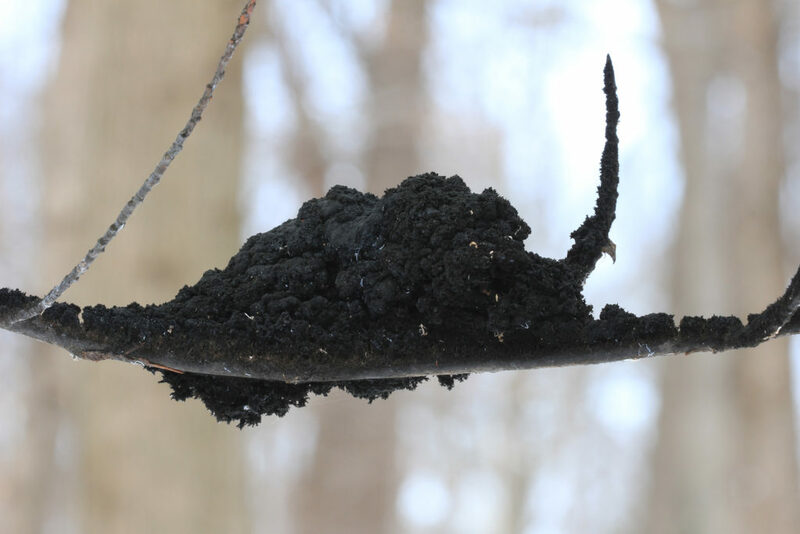 While there are large bare areas that may be covered in lichens, some organic matter does collect in depressions and crevasses allowing for plants to grow. 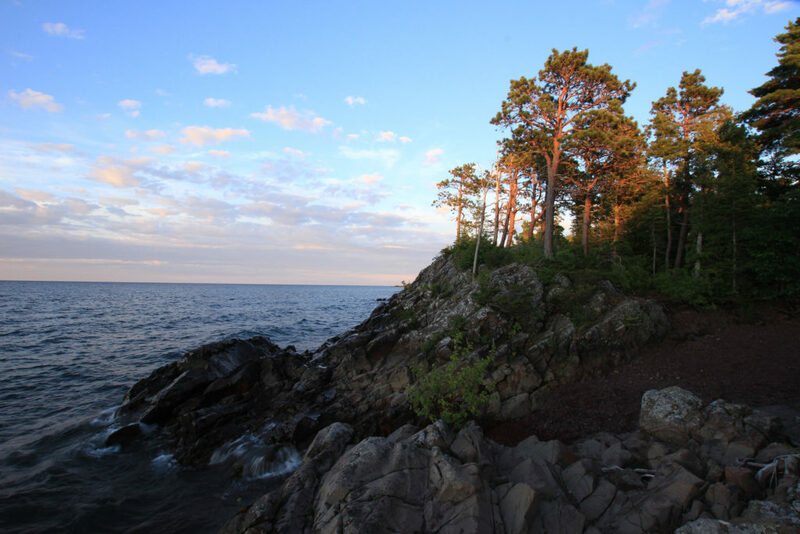 As impressive as this harsh environment is for plants to survive, the real area of amazement and awe is to the east on a large rock known as Drummond Island. 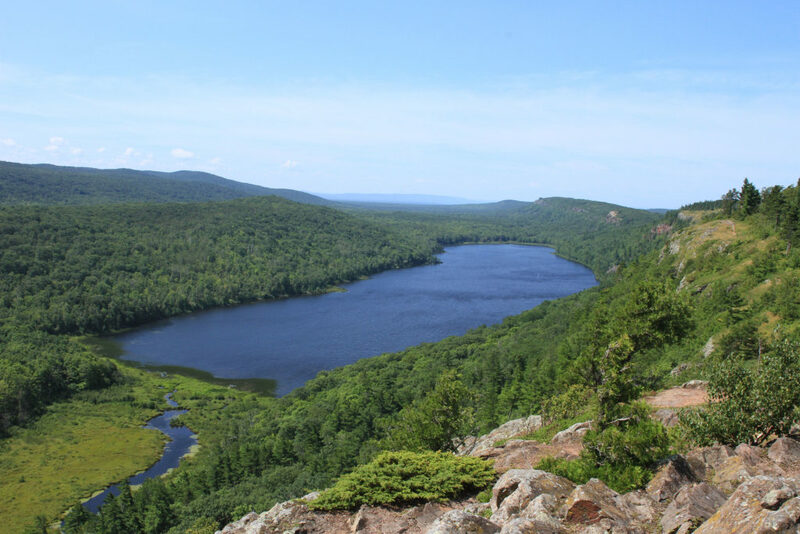 While Drummond Island is an area of diverse and interesting natural habitats and features, the one that draws me the most is the alvar known as Maxton Plains. 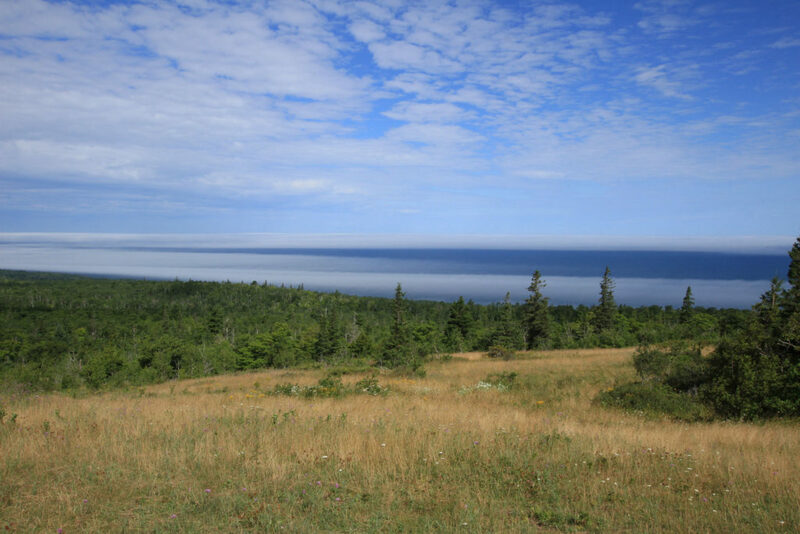 Alvar is only found in three areas of the world with the Upper Peninsula being one of them. Being one of the most popular four-wheel drive destinations in the United States, people bring jeeps and other four-wheel drive vehicles from all over the country to off road on this big rock. But as they drive through this flat rock area, raising clouds of dust as they pass, do they realize all the resilient and rare plants that they pass by? In these flat areas that look like pavement, you will find large open areas which appear to be barren except for some lichens. But look more closely. With top soil at 10 inches or less and many areas much less, there is an amazing world of smaller or even stunted plants. Rock Sandwort and Early Saxifrage seem to rise from the rock. Creeping Junipers seem to reach their tentacle like limbs from a central spot which may be a crack in the rock allowing them to put roots down in search of moisture and nutrients. Some of the low grassy areas on this bed rock may harbor rare and threatened species like the Small Skullcap, a small blue flower I found purely by accident. As you move away from the barren areas of exposed rock to the areas with a little more soil or organic matter, you will find large flat open areas of grasses and sedges. The time of year will dictate the color and intensity of the show from the forbes growing there. Sone areas this past week when I was there where yellow with Ragwort and Indian Paint Brush which tends to be more yellow and orange than red on the island. 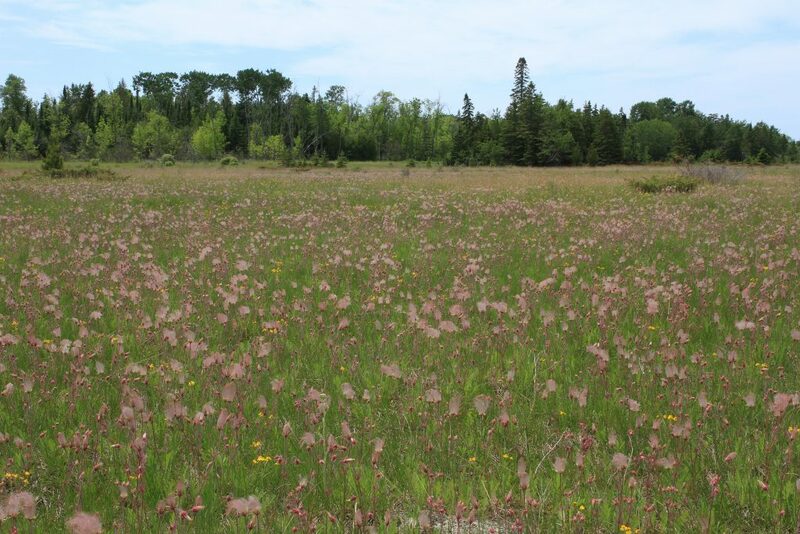 Some drier sites where pink with the feathery seed plumes of Prairie Smoke, another threatened species. How can these plants persist in such a harsh environment? 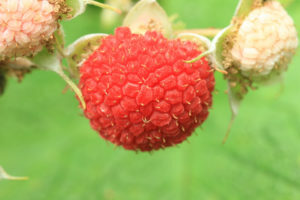 Many are either unique to the island or are also found in dry prairies in other parts of the state. 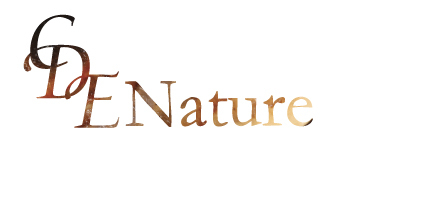 There is an inundation of water in spring or after rains that sustain the drought tolerant plants. 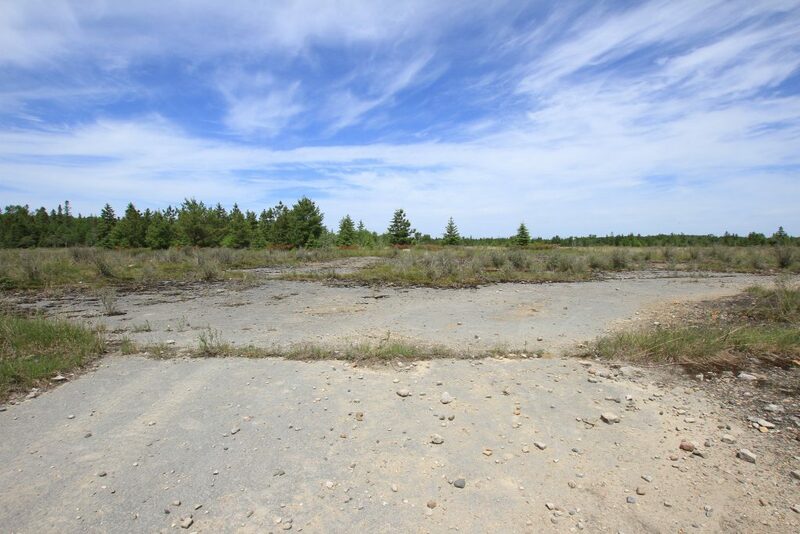 Others are in areas closer to the forest where the topography may drop off slightly and hold water longer and these areas may have more soil. All of these conditions make for a tremendous diversity in such a small area. Next time you are in the eastern UP or on Drummond Island, take an hour or two or three and explore the flat plains, you won’t be disappointed. If you are four-wheeling, take a break and spend a little time out of the vehicle here rather than just stopping long enough to read the interpretive sign if you stop at all. 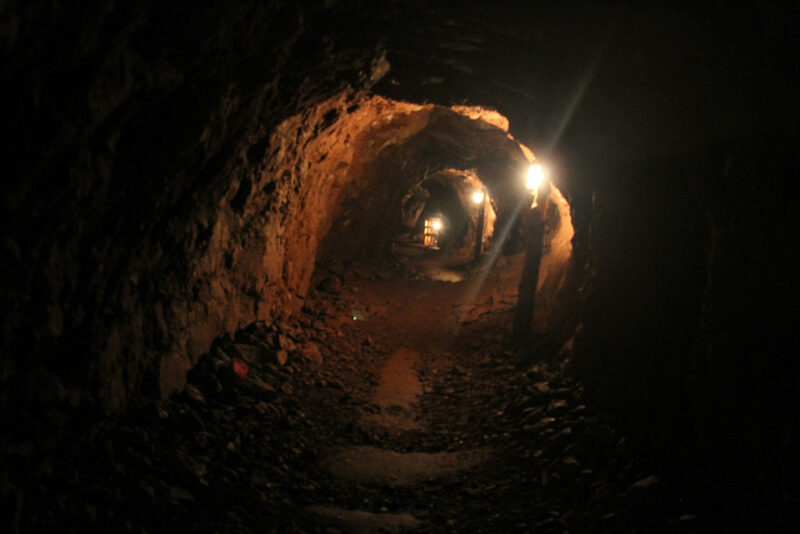 Be sure to click on the title at the beginning of this entry to see the full photo collection of one afternoon in the Maxton Plains. 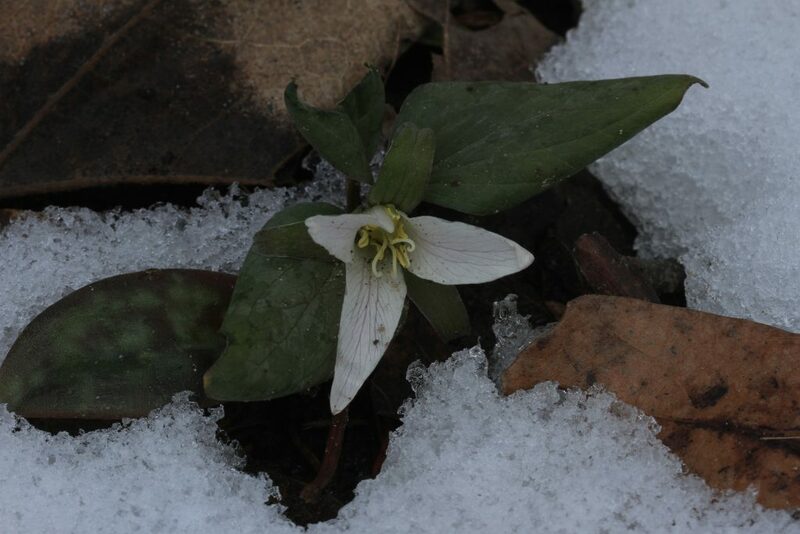 Last June I wrote a piece entitled “Chasing Rarities” and in that piece I state that Snow Trillium was know from only one location in Michigan. 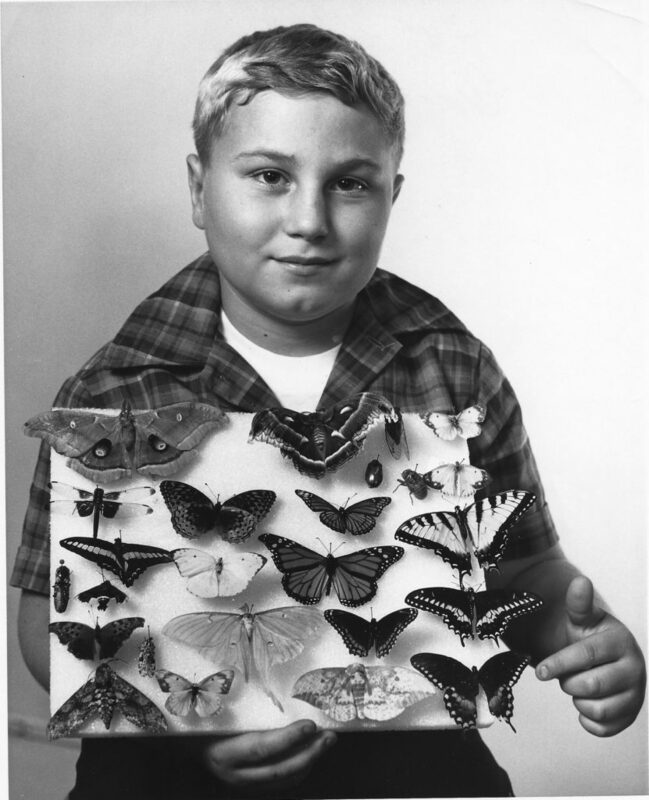 Later in the year I was contacted by Bill S. and informed that there were more populations. So, on April 21 Bill and his family graciously took me to and told me about more locations. The above photo was taken on the 21st at another location along the Grand River. While Trillium nivale is still the 2nd rarest Trillium in Michigan, I am pleased to learn that there are other thriving populations. Thank you, Bill and family, for your time and for sharing this information with me as I like to be as accurate as possible. I have also update the previous blog post to reflect this. Also, we have known that Trillium nivale blooms in early April each year. With 2018 being one of the coldest springs on record, I wanted to know if they would still bloom on time. While we usually say they bloom on April 4, I was not able to visit them until the 8th or four days later. Yes, there were several plants in bloom. Then on the 17th I was able to stop after being near Lansing and see them actually still blooming through the snow and ice. Again for those willing to get out early there are wildflowers to find and enjoy while most people think spring doesn’t come until May. 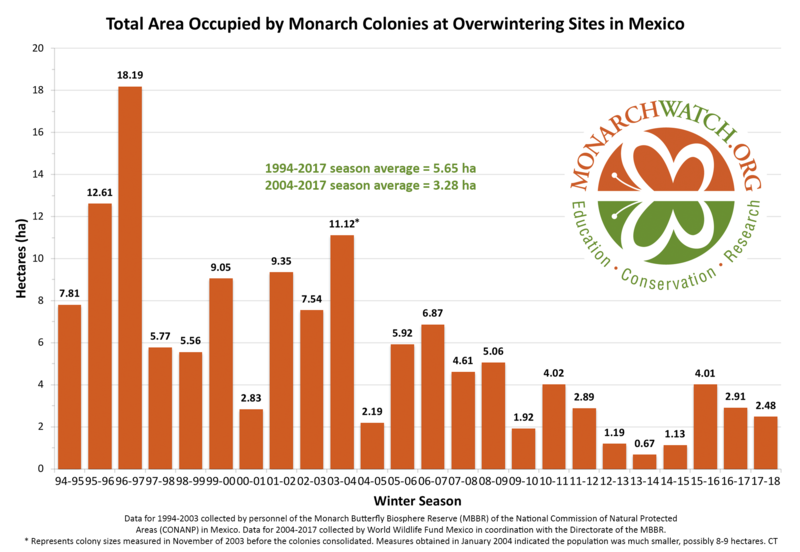 While weather can affect when some plants bloom, many native species seem to bloom by the calendar rather than the weather. Yes, in the north with snow and ice lasting longer this year many may be a bit behind but I expect that they will catch up sooner than we think. 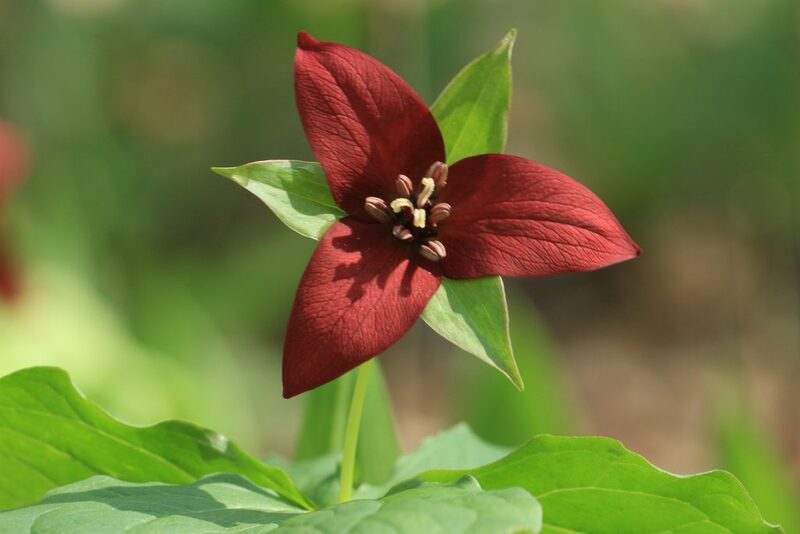 A case in point is the Red Trillium or Trillium erectum. As I traveled north to near Traverse City on the May 15, to photograph this Trillium, both red and white were blooming nicely. 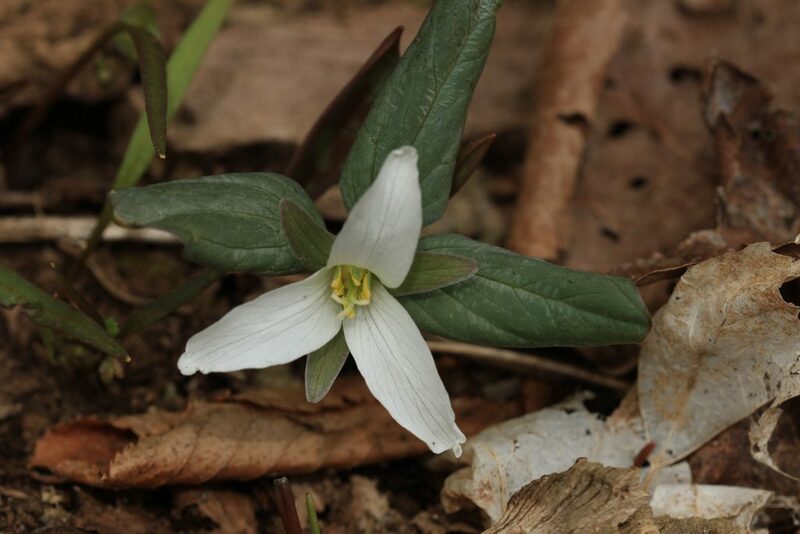 Depending on where you live, south to north will determine what you see blooming, but there is still time to get out and enjoy Michigan’s many spring wildflowers. As much as I would like to shot winter scenes, the weather in west Michigan doesn’t always cooperate. We get a lot to dark cloudy days in winter which makes for flat lighting without a lot of contrast or definition in the photos. This can especially be problematic for landscapes. Some days it pays to be at a location when there are breaks in the clouds to highlight subjects, like the Grand Have Light house in one of the accompanying photos. The dark sky can make for a more dramatic image or the dark, hazy light might just give or a dreamy, mythical look to the swans flying away from you. 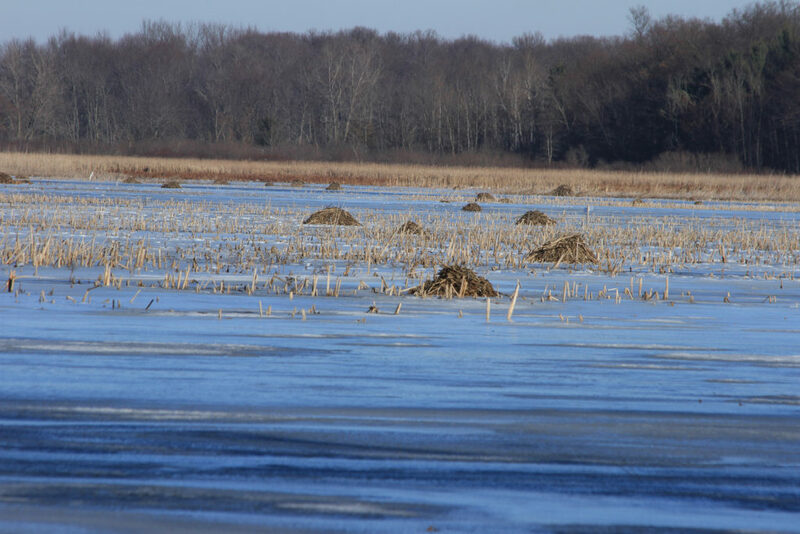 If you are shooting ducks for color and identification, good luck. Sometimes this dark, flat light can work for you. Case in point is the image I’ve titled “Dreamy Beech by The River”. This photo was taken late in the day, within an hour or so of sunset while it was snowing quit heavily. The low light works here. On a couple of days last week, we had cold nights in the single digits for temperatures and some sun in the mornings. The cold nights made what is known as Hoar Frost. This is beautiful in the mornings when it turns trees and weeds white and the sun shines on them. The problem is getting out early enough to shot before the sun and wind start to take the frost away. I have added a few photos here of the Hoar Frost to show the wonderful crystals that make up this phenomenon. When you photograph with a macro lens or look closely, the ice crystals are actually clear and very detailed geometric shapes. The crystals protrude outward, attached on one edge and protruding like a shelf of delicate ice. 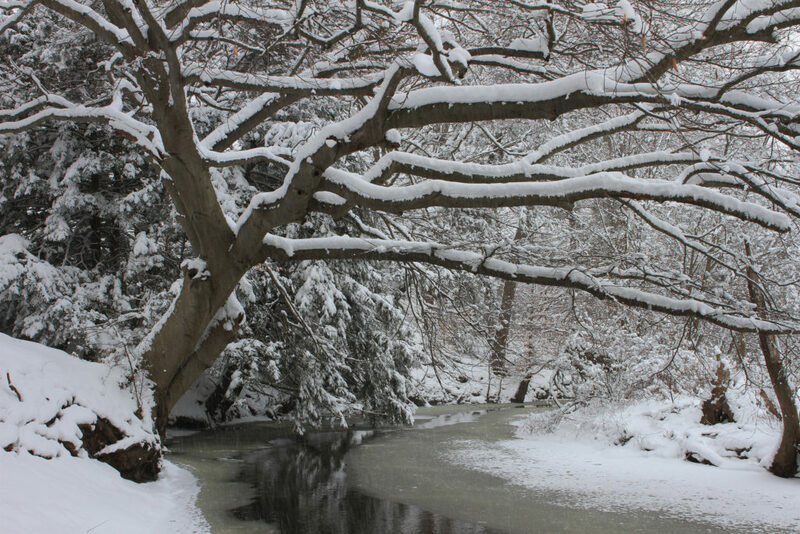 Dress warm and be ready to move slowly to get these photos and enjoy the beauty. 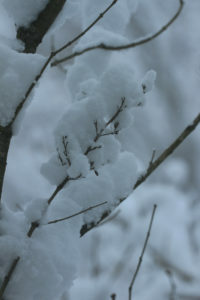 Proper exposure with snow photos can be difficult and results unsatisfactory sometimes at best. While blue snow or blown out snow or ice is a common problem with winter photos, it doesn’t have to be. All of the accompanying photos were shot in full manual mode and white balance set to “Auto White Balance” on the camera. The f stops were in the middle to low ranges, which lets more light into the camera. Even though it can be along cold winter, we can still shoot photos. 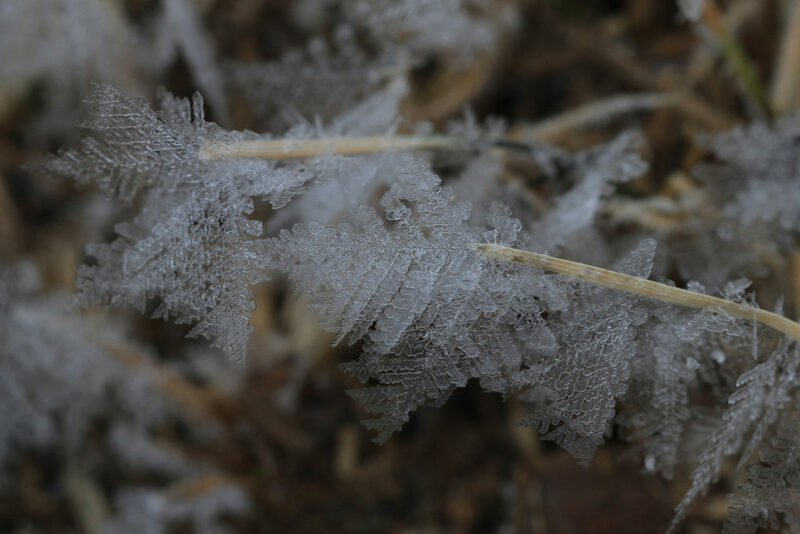 It was enjoyable to get the macro lens out and shot ice and frost and then move on to plants as found in winter. 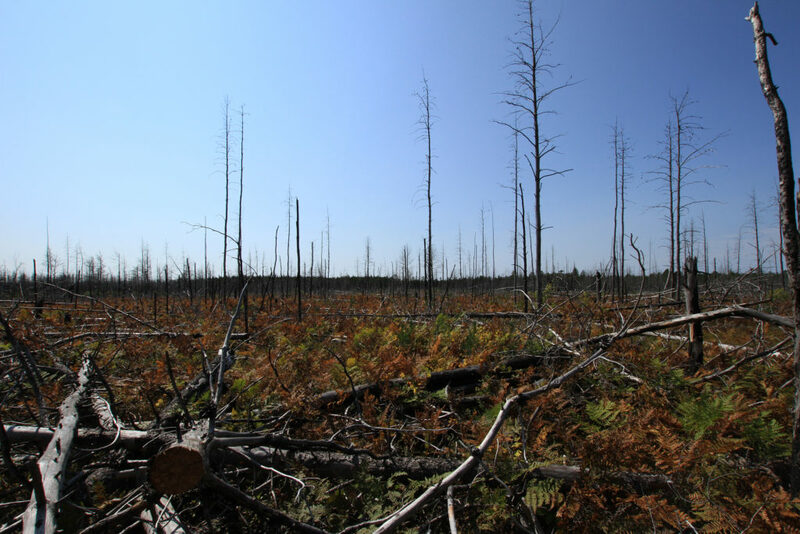 Often forest or wild fires are looked at as destructive and devastating events. We like to think the best thing is to suppress them, when in reality this leads to the buildup of a huge fuel load making the fires more intense when they do occur. The after math is said to be ugly and dead, when all we see is the charred remnant of the once thriving landscape. I would rather like to suggest that this burning or utter “devastation” of the forest is rather a time and process of renewal and regeneration. 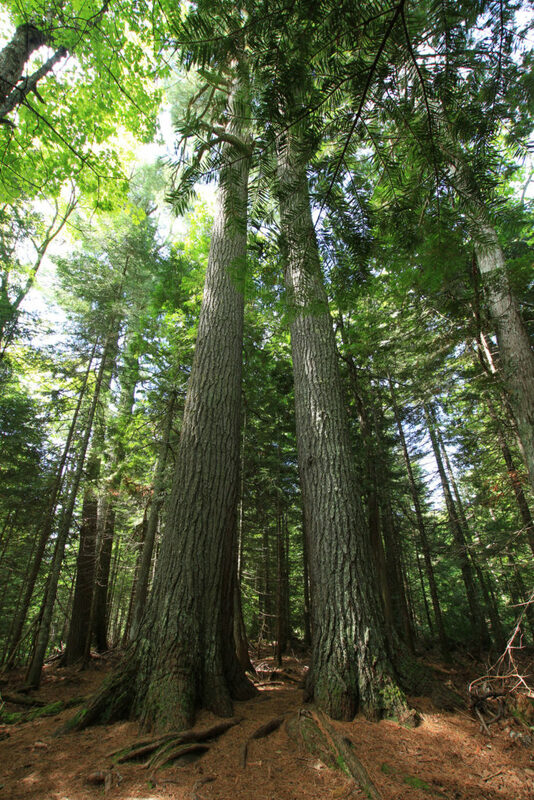 In the case of northern Michigan forest, Aspen trees sprout in mass providing food and/or cover for deer and grouse. 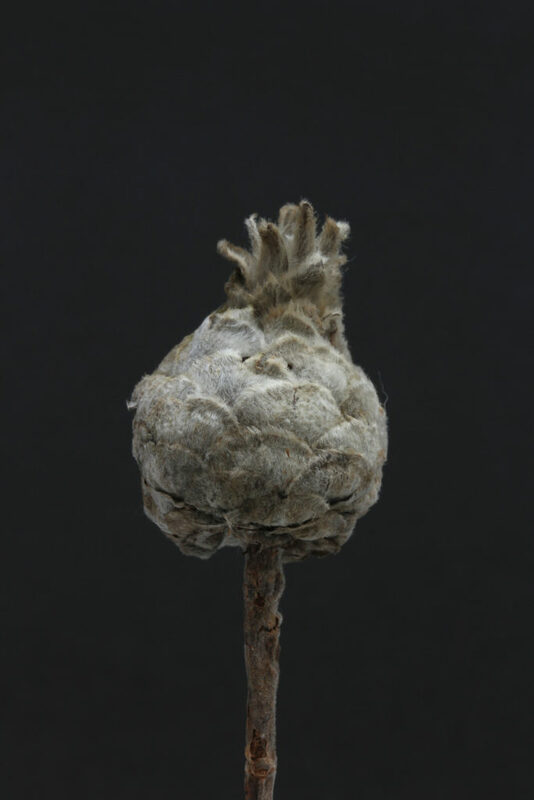 Jack Pine cones open from the heat of the fire, releasing seeds from the resinous cones that have held them captive for years. 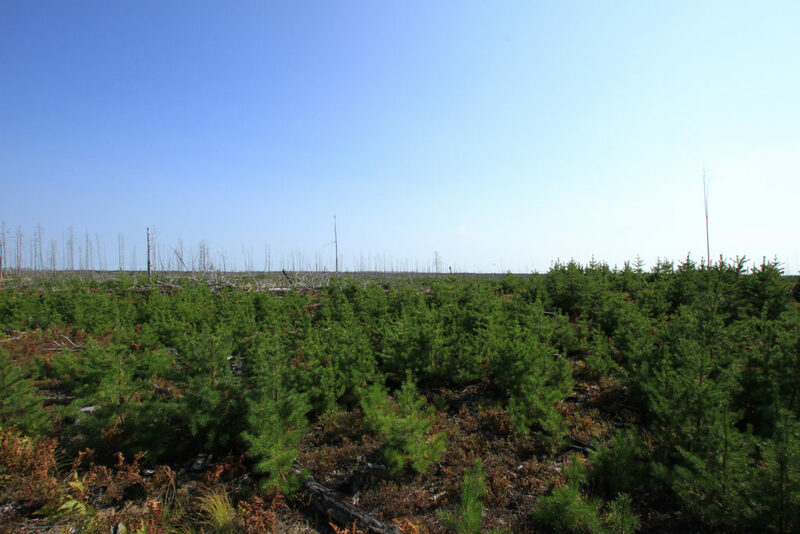 The result is a super abundance of young Jack Pine trees that within a few years will host Kirkland Warblers. All of this regeneration is currently playing out in this fire area from five years ago. Possibly within a couple of years the warblers will come. 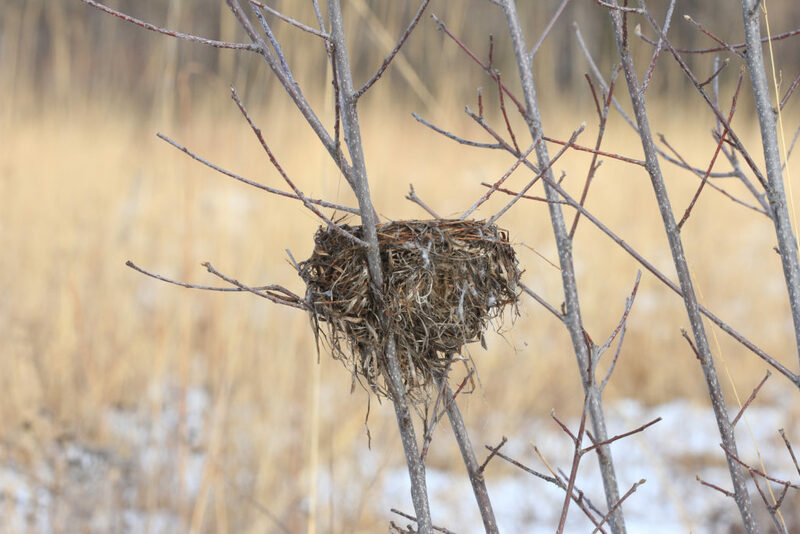 In the vast acreage that has looked so barren, new life has returned. 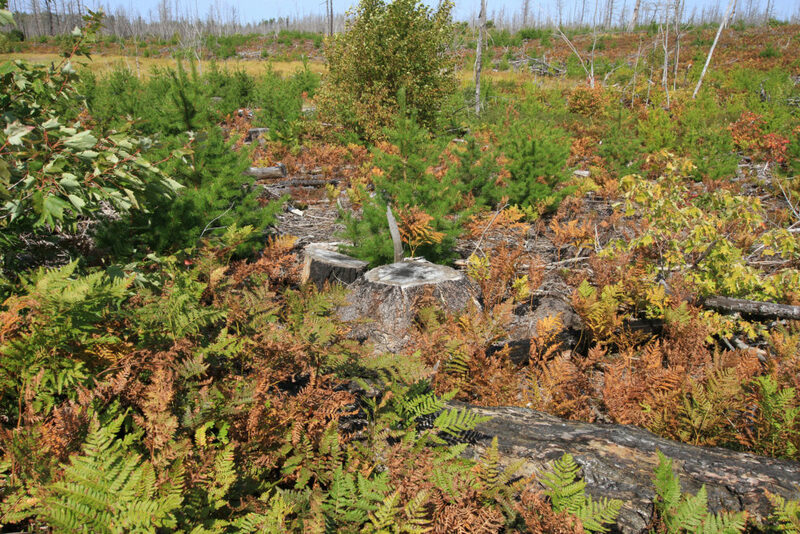 In the dryer upland areas that were Jack and Red Pine stands before the fire, ground layer plants such as Bracken Fern, Wild Blueberry, Bearberry and Sweet Fern have returned. Blueberries have not just returned but have dominated some areas, even this late in the season I was able to find enough for three days’ worth of pancakes for breakfast. Mosses have also dominated some soil types and situations with large matts of lush green moss. Winter Green and Trailing Arbutus continue to flourish, but most noticeable are the young pine trees. 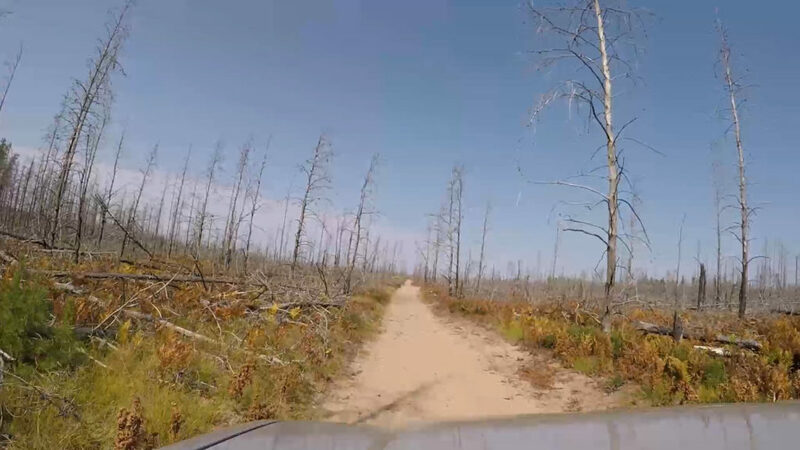 In areas where one side of the road burned and the other side did not and trees remained alive in the burned area, the main difference is the lack of lower mid-level green and vegetation. Lower limbs may have died but not the tops of the trees. In areas with more deciduous trees, seedlings and suckering shots abound of White Birch, Red Maple, oaks and aspens. Along the road and trail cuts flowers have returned. Although there are still many dead pines still standing, they are beginning to fall. Some areas have been or are currently being logged, giving a more barren look. 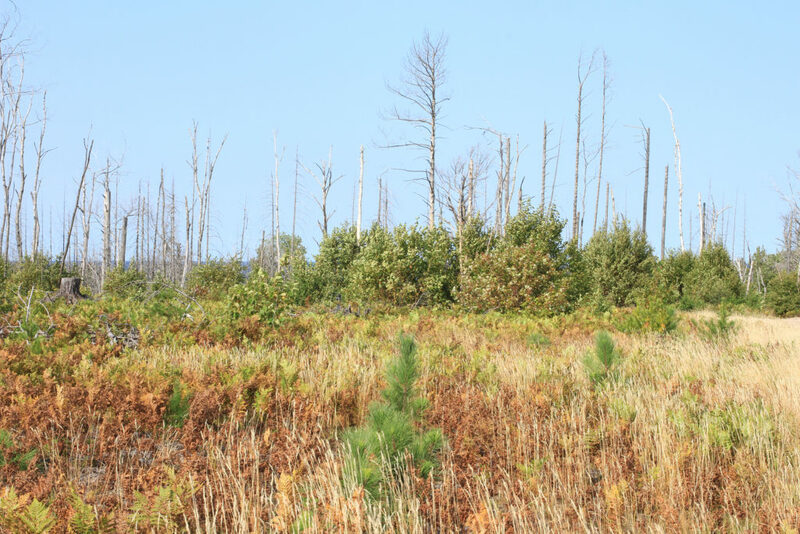 The burned open or more open areas have higher numbers of pine seedlings. In some cases, the stands are very thick, almost sod like. The wetlands that were dry at the time of the fire have refilled to over flowing in some cases. Other than the few dead trees in the wetlands, you would not know that there were ever burned and blackened just five years ago. Sweet Gale, Leather Leaf and other shrubs have grown back, none the worse for the wear. 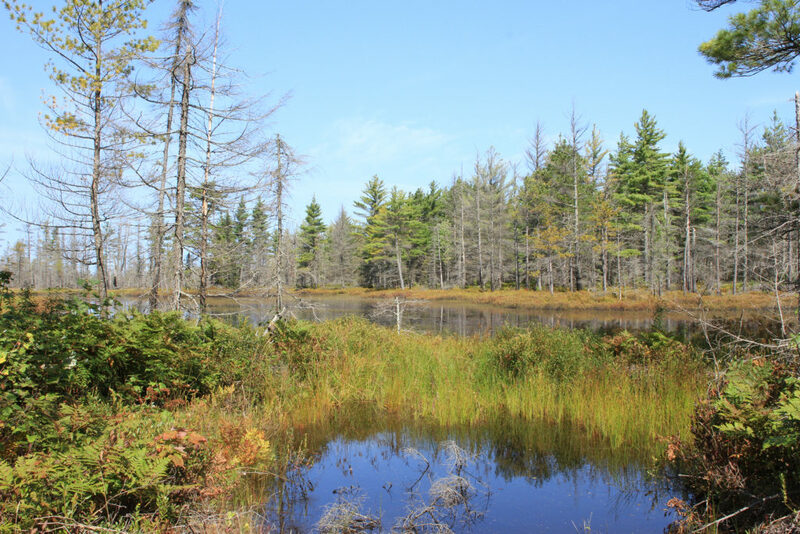 At a boggish lake in the Swamp Lakes complex, what was a sea of blackened sticks is now a thriving sea of green with the shrubs, sedges, mosses and other plants that have regrown. Pitcher Plant, sundews, sphagnum mosses, violets, sedges, rushes and many others now once again are thriving. These wetlands are as healthy as ever. Yes, it will take time for the older trees to be replace, but this entire area is well on its way to fully recovering with a new vigor. Again, what we tend to see as total devastation and loss, is really an avenue to regeneration and setting back the clock of succession.